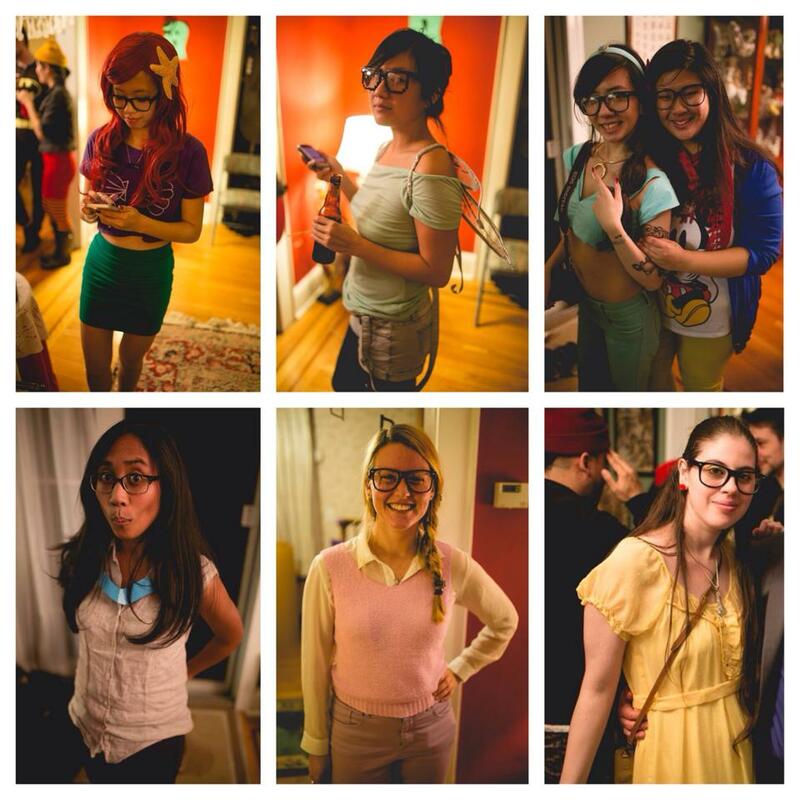 This Halloween my friends threw a Hipster Disney Princess themed party. 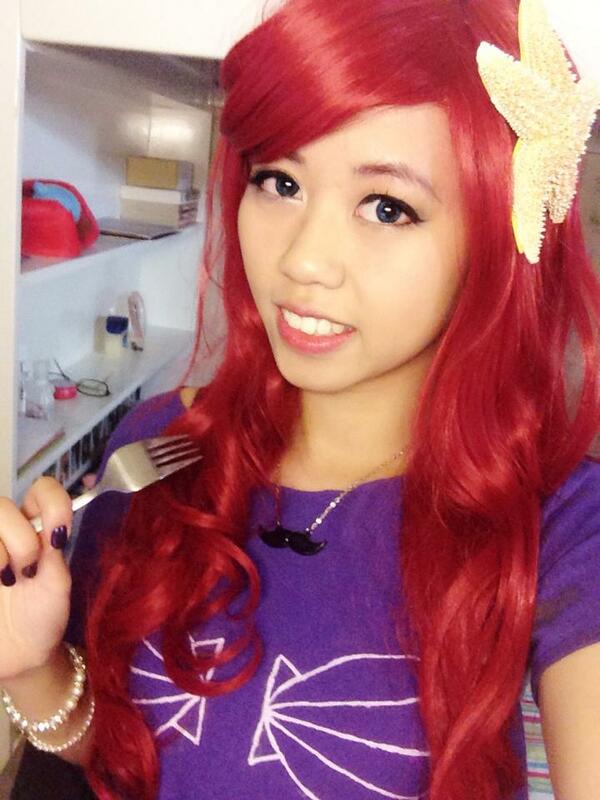 All the black haired princesses were taken, so I chose Ariel and donned a curly red wig (I used it last year for Poison Ivy! It's a cheap one from eBay, so it's taken quite a beating since then). 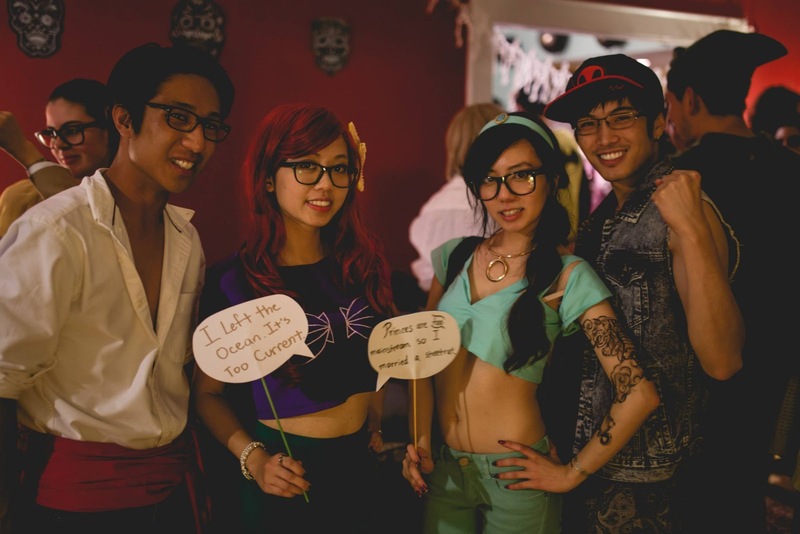 She's my favorite disney character so I'm glad I finally got to dress up as her..in a way hehe. I put together a casual outfit in her color scheme. Can you guess the princess? 1. 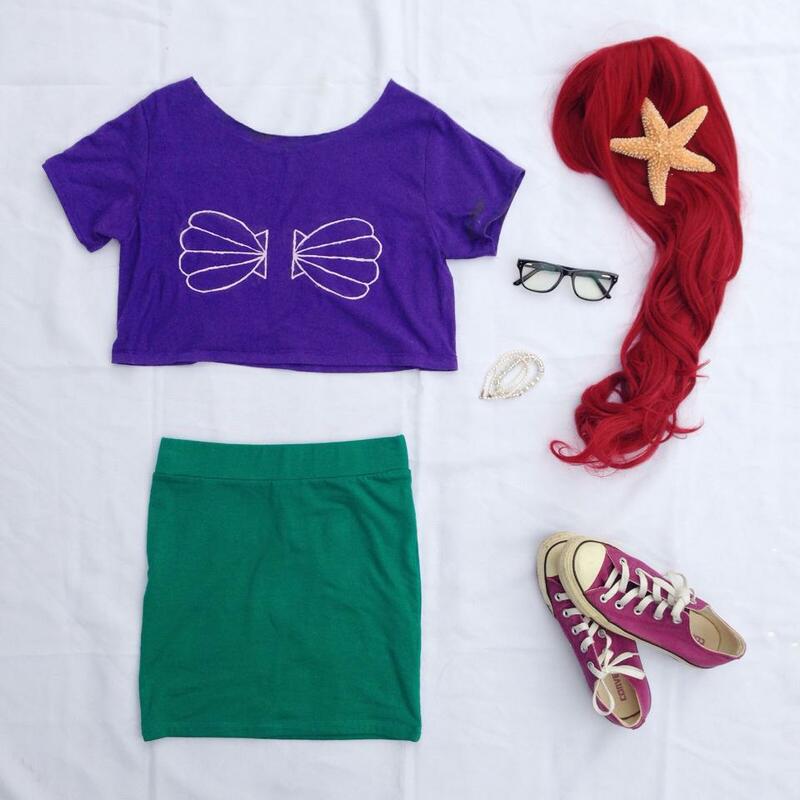 Take an old T-shirt or any purple fabric and cut out the crop top. You can use a crop top you own to trace the size you want. 2. Don't forget to cut out some sleeves. You can sew these on now or later. 3. Sketch out some mermaid seashells. Use it as a template and guide to trace the seashell outline on the top with chalk. Use fabric paint (I used a small Scribbles 3D squeeze bottle in the color Lilac) and draw in your seashells. Like my page at Reeni Cosplay to keep updated!